The emergence of new ODL institutions and keenness of conventional universities to offer online degree programs in higher education predict its popularity. However, the challenge of how to ensure the quality of learning in ODL institutions is also emerging. In this regard, Virtual University of Pakistan (VUP) has nearly developed first ever quality assurance (QA) toolkit at national level specifically applicable to VUP and generally to all ODL institutions offering online programs. 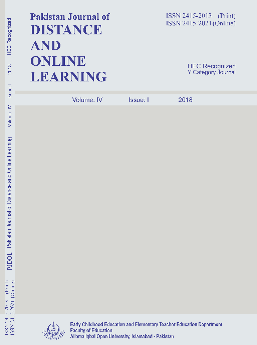 In this paper, the key features from the e-learners’ perspective are identified. 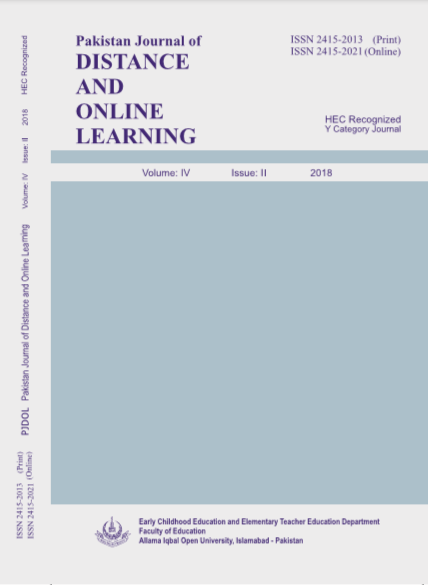 Through extensive literature review and in-depth discussions with focus groups, total ten (10) key areas were identified in the toolkit among which the “e-learner” is acknowledged as a pivotal parameter and the most dominant section of the toolkit. Focus group research methodology was used for data collection from randomly shortlisted informants i.e. faculty members and students of VUP. The questionnaire designed for the focus group was reviewed from experts to ensure the language, cultural and contextual validity. Total twelve (12) sub-themes were extracted relevant from learner’s perspectives. This paper will contribute to boosting the confidence of the various stakeholders at home or elsewhere, who are skeptical about quality claims of the ODL institutions.